Camp Land, Set. 30 / Camp Books, Oct. 1, 1972. The viewpoints expressed in this website (to include the Virtual Vietnam Archive and all Vietnam Center and Archive web pages) do not represent the viewpoints of Texas Tech University, its officers, agents, employees, or volunteers. The Vietnam Archive at Texas Tech merely acts as a repository for the stories, accounts, and memories of those who have chosen to share their experiences. Texas Tech makes no warranty as to the accuracy or completeness of any information contained herein and expressly disclaims any liability therefore. 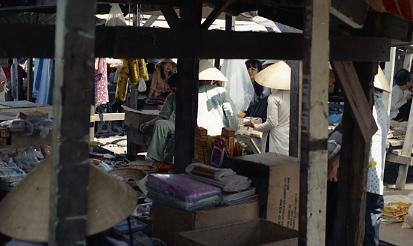 Furthermore, the Vietnam Archive at Texas Tech reserves the right, in its sole discretion, to decline to post any account received herein and specifically disclaims any liability for the failure to post an account or for errors or omissions that may occur in posting accounts to the Virtual Archive. Please send all inquiries about this disclaimer to vnca@ttu.edu. Entries are posted to the Vietnam Center and Archive News and Updates and Facebook pages by the staff of the Center and Archive, and are monitored. Although we strive to only provide links to legitimate and useful sources, the Center and Archive and Texas Tech University are not responsible for content found on sites linked to from our pages. Comments (positive or negative) concerning news and updates or facebook enteries are welcome, but will be moderated before appearing on the site.